Aiseesoft iPhone Converter Suite is the recommended DVD to iPod suite with DVD ripping, video editing and file transferring features. Not only transfer the desired movies from DVD to iPod, you can also edit and enhance the movies for the different DVDs. It is the best program to preserve the quality of the original DVD disc. Just learn more about the DVD to iPod suite as below. Aiseesoft DVD to iPod Suite contains both FoneTrans and Video Converter Ultimate. Video Converter Ultimate supports more than 300 video formats, including DVD, videos and audios. 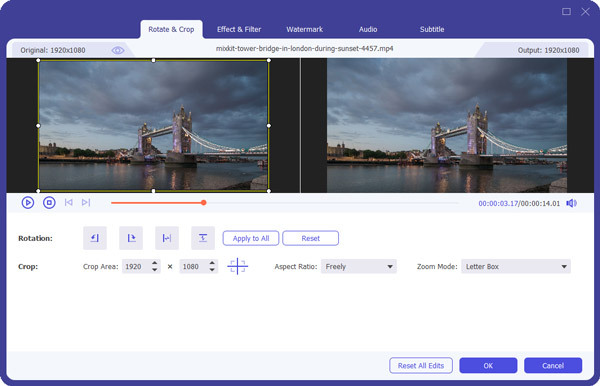 It also includes multiple editing features, such as rotate, flip, apply 3D effects, add external subtitle and more. 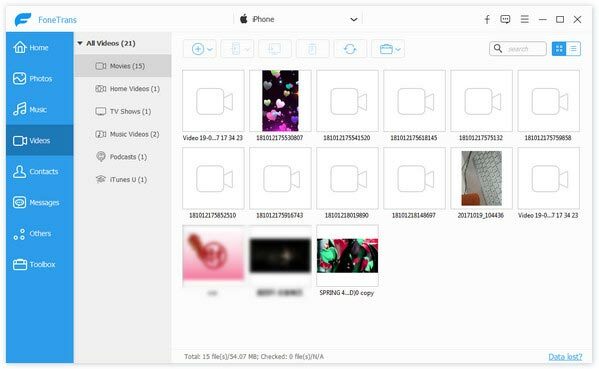 As for FoneTrans, besides the basic transferring features, you can also view different files, make ringtones and manage backup files with ease. Just in simple, it should be the ultimate DVD to iPod suite to extract movies from DVD for iPod. 1. Convert both homemade DVD and commercial DVD to iPod formats. 2. Multiple iPod presets for different type of devices according to requirements. 3. Preview and transfer audios and videos from computer to iPod. 4. All in one DVD to iPod suite preserves the best quality of DVD movies. When you search for DVD to iPod suites, you may find some programs for ripping DVD to video or iPod formats only. Why do you need a suite with transferring videos to iPod? The largest capacity of iPod is 128GB, which you can only convert up to 10 DVD-9 discs, no mention about the preinstalled apps and caches. When you want to watch a high quality movie of DVD on iPod, you should transfer some previous movie clips to computer and import the new ones to iPod instead. Another reason that you have to use DVD to iPod suite is that you can preview the movies and select the desired video before transferring the files between different devices. As for the DVD to iPod converters, you have to transfer video and DVD to iTunes or iPod after conversion. What are the special features for ripping DVDs with Aiseesoft DVD to iPod suite? Most of the DVD rippers only work with homemade DVDs, such as VLC Media Player, Handbrake and more. The program works with both the homemade DVD and commercial one with CSS protection. The editing features are available for most of the DVD to iPod converters, but the video enhancing features should be an excellent feature to enjoy a high quality movie on iPod. Download and install Aiseesoft iPhone Converter Suite on Windows or Mac. After that you can launch the program, which you can find both FoneTrans and Video Converter Ultimate modules. Insert the desired DVD into the DVD drive of your computer. Choose the "Video Converter Ultimate" module and click the "Load Disc" option to load the DVD source from DVD drive. The DVD to iPod suite is able to convert the homemade DVD as well as the commercial one with CSS DRM protection. Click the "Profile" menu and choose the iPod from the left menu bar to get a desired format for your iPod type. If you need to convert music for iPod, you can choose "MP3" instead. Click the "Settings" to adjust the different parameters for the optimal output. Once you get the videos for iPod, you can click the "Edit" button, which enables you trim video length, crop video, rotate video, add watermark, apply 3D effects, adjust video brightness/saturation/contrast and adjust the volume of audio within the DVD to iPod suite. 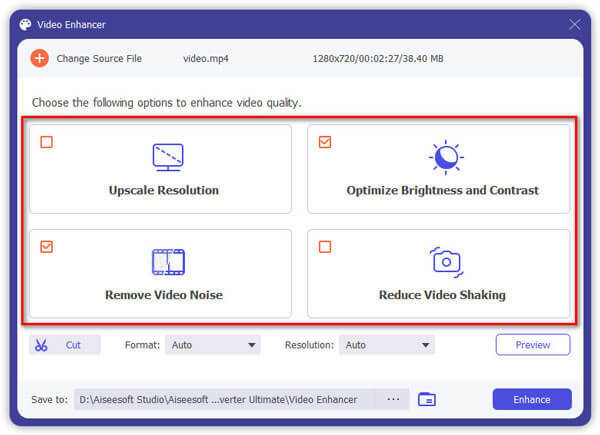 Click the "Enhance" function to upscale resolution, optimize brightness and contrast, and remove video noise according to your requirement. The new added deshaking function enables you to stabilize your shaky video for some homemade DVD. Launch the FoneTrans module and choose the "Videos" on the left of the main interface. Click the "+" button and choose the converted video from DVD to iPod. Now you can watch the DVD on iPod on the destination folder you transferred within the DVD to iPod suite. A detailed comparison between different DVD to iPod Suites might be helpful for you to make a decision for the best Apple DVD Player. Here is the detailed comparison between 4 different DVD to iPod suites. When you want to convert homemade/commercial DVD to digital formats, edit/enhance video files, or even transfer them to iPod, Aiseesoft iPhone Converter Suite is the desired DVD to iPod Suite you have to take into consideration. Besides the features and usage of the program, you can also have a comparison between iPhone Converter Suite and other DVD to iPod suites before making a final decision. If you have any query about the program, you can share more detailed information in the comments. 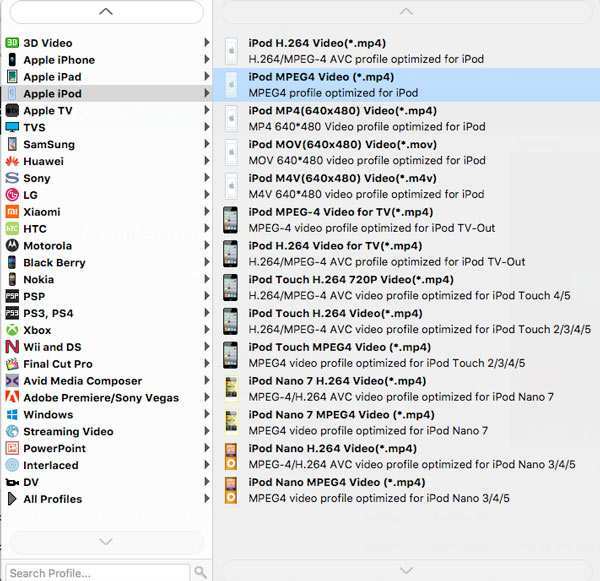 Want to add DVDs or some favorite videos from PC or Mac folder to iTunes library? Read this article and learn more about how to transfer videos/DVDs to iTunes. Read this article to find top 3 Apple DVD players to play DVDs on your Mac freely and easily with Apple USB SuperDrive. Want to convert DVD to MP4 for backup on PC/Mac? You can learn how to convert homemade DVD to MP4 video with high quality in this post.